Steam boilers convert water into steam, for the purpose of using the steam to heat the home. That steam then exits through radiators and uses convection to heat the room. It’s more common to hear about hot water boilers, but these are not the same thing. Hot water boilers merely heat the water, and that water is then circulated through the home to provide radiant heating. Similar to other kinds of boilers, or even a water heater, the steam boiler will store water in a large tank. That tank is then heated by natural gas, propane, or electricity. Temperatures must approach 212°F, at which point the water will be converted into steam. Next, the steam is collected in an empty tank, called the dome. The steam keeps collecting until the pressure levels in the dome reach the right level. At that point, a valve is released, and the steam travels through the pipes in the home. The steam will exit through cast-iron radiators in the home until heat energy is lost. The cycle then starts over. What’s Better: Steam Boiler or Hot Water Boiler? The steam boiler requires higher temperatures in order to convert water into steam. This means it can be a bit less efficient. On the other hand, there’s no need for any electricity. Regardless of which fuel type is used, hot water boilers require an electric pump to circulate the hot water. Steam naturally expands to fill the pipes without any assistance. 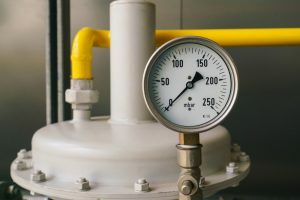 Steam boilers require precise configuration and adjustments, but hot water boilers require several accessories just to run properly: expansion tanks, circulates, flow check valves, and more. Who Can Benefit From a Steam Boiler? Steam transfers heat much more efficiently than hot water. That means it can produce a larger output of heat than the hot water boiler. In fact, there are very few systems that can produce as much heat as a steam boiler at all. The bottom line is that steam boilers are reliable and comfortable heaters in climates that get as cold as ours in Westchester County. It also works wonders in homes with poor insulation and ones that suffer from heavy drafts during harsh winters. To learn more about steam boilers in Westchester, NY, get in touch with one of our HVAC experts. Contact Yost & Campbell Heating, Cooling & Generators today to request an estimate.